Sydney (/ˈsɪdni/ ( listen) SID-nee) is the state capital of New South Wales and the most populous city in Australia and Oceania. Located on Australia's east coast, the metropolis surrounds Port Jackson and extends about 70 km (43.5 mi) on its periphery towards the Blue Mountains to the west, Hawkesbury to the north, the Royal National Park to the south and Macarthur to the south-west. Sydney is made up of 658 suburbs, 40 local government areas and 15 contiguous regions. Residents of the city are known as "Sydneysiders". As of June 2017, Sydney's estimated metropolitan population was 5,230,330 and is home to approximately 65% of the state's population. Indigenous Australians have inhabited the Sydney area for at least 30,000 years, and thousands of engravings remain throughout the region, making it one of the richest in Australia in terms of Aboriginal archaeological sites. During his first Pacific voyage in 1770, Lieutenant James Cook and his crew became the first Europeans to chart the eastern coast of Australia, making landfall at Botany Bay and inspiring British interest in the area. In 1788, the First Fleet of convicts, led by Arthur Phillip, founded Sydney as a British penal colony, the first European settlement in Australia. Phillip named the city Sydney in recognition of Thomas Townshend, 1st Viscount Sydney. Penal transportation to New South Wales ended soon after Sydney was incorporated as a city in 1842. A gold rush occurred in the colony in 1851, and over the next century, Sydney transformed from a colonial outpost into a major global cultural and economic centre. After World War II, it experienced mass migration and became one of the most multicultural cities in the world. At the time of the 2011 census, more than 250 different languages were spoken in Sydney. In the 2016 Census, about 35.8% of residents spoke a language other than English at home. Furthermore, 45.4% of the population reported having been born overseas, making Sydney the 3rd largest foreign born population of any city in the world after London and New York City, respectively. Despite being one of the most expensive cities in the world, the 2018 Mercer Quality of Living Survey ranks Sydney tenth in the world in terms of quality of living, making it one of the most livable cities. It is classified as an Alpha+ World City by Globalization and World Cities Research Network, indicating its influence in the region and throughout the world. Ranked eleventh in the world for economic opportunity, Sydney has an advanced market economy with strengths in finance, manufacturing and tourism. There is a significant concentration of foreign banks and multinational corporations in Sydney and the city is promoted as Australia's financial capital and one of Asia Pacific's leading financial hubs. Established in 1850, the University of Sydney is Australia's first university and is regarded as one of the world's leading universities. Sydney is also home to the oldest library in Australia, State Library of New South Wales, opened in 1826. Captain Philip led the First Fleet of 11 ships and about 850 convicts into Botany Bay on 18 January 1788, though deemed the location unsuitable due to poor soil and a lack of fresh water. 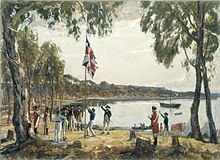 He travelled a short way further north and arrived at Sydney Cove on 26 January 1788. This was to be the location for the new colony. Phillip described Port Jackson as being "without exception the finest harbour in the world". The colony was at first to be titled "New Albion" (after Albion, another name for Great Britain), but Phillip decided on "Sydney". The official proclamation and naming of the colony happened on 7 February 1788. 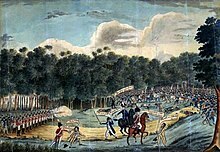 Lieutenant William Dawes produced a town plan in 1790 but it was ignored by the colony's leaders. Sydney's layout today reflects this lack of planning. Officers and convicts alike faced starvation as supplies ran low and little could be cultivated from the land. The region's indigenous population was also suffering. It is estimated that half of the native people in Sydney died during the smallpox epidemic of 1789. Enlightened for his age, Phillip's personal intent was to establish harmonious relations with local Aboriginal people and try to reform as well as discipline the convicts of the colony. Phillip and several of his officers – most notably Watkin Tench – left behind journals and accounts which tell of immense hardships during the first years of settlement. Part of Macquarie's effort to transform the colony was his authorisation for convicts to re-enter society as free citizens. Roads, bridges, wharves, and public buildings were constructed using convict labour and by 1822 the town had banks, markets, and well-established thoroughfares. Parramatta Road was opened in 1811, which is one of Sydney's oldest roads and Australia's first highway between two cities – Sydney CBD and Parramatta. When Britain declared war on Germany in 1939, Australia too entered. 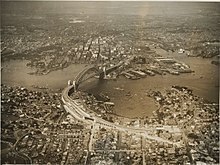 During the war Sydney experienced a surge in industrial development to meet the needs of a wartime economy. Far from mass unemployment, there were now labour shortages and women becoming active in male roles. Sydney's harbour was attacked by the Japanese in May and June 1942 with a direct attack from Japanese submarines with some loss of life. Households throughout the city had built air raid shelters and performed drills. Martin Place, now a busy pedestrian mall, pictured in 1968, when it was open to traffic. New industries such as information technology, education, financial services and the arts have risen. Sydney's iconic Opera House was opened in 1973 by Her Majesty. A new skyline of concrete and steel skyscrapers swept away much of the old lowrise and often sandstone skyline of the city in the 1960s and 1970s, with Australia Square being the tallest building in Sydney from its completion in 1967 until 1976 and is also notable for being the first skyscraper in Australia. This prolific growth of contemporary high-rise architecture was put in check by heritage laws in the 1990s onwards, which prevent demolition of any structure deemed historically significant. Since the 1970s Sydney has undergone a rapid economic and social transformation. As a result, the city has become a cosmopolitan melting pot. Sydney lies on a submergent coastline where the ocean level has risen to flood deep rias. Almost all of the exposed rocks around Sydney are sandstone. A summer thunderstorm over the city taken from Potts Point, 1991. Under the Köppen–Geiger classification, Sydney has a humid subtropical climate (Cfa) with warm summers, cool winters and uniform rainfall throughout the year. At Sydney's primary weather station at Observatory Hill, extreme temperatures have ranged from 45.8 °C (114.4 °F) on 18 January 2013 to 2.1 °C (35.8 °F) on 22 June 1932. An average of 14.9 days a year have temperatures at or above 30 °C (86 °F) in the central business district (CBD). In contrast, the metropolitan area averages between 35 and 65 days, depending on the suburb. The highest minimum temperature recorded at Observatory Hill is 27.6 °C (82 °F), in February 2011 while the lowest maximum temperature is 7.7 °C (46 °F), recorded in July 1868.The average annual temperature of the sea ranges from 18.5 °C (65.3 °F) in September to 23.7 °C (74.7 °F) in February. The weather is moderated by proximity to the ocean, and more extreme temperatures are recorded in the inland western suburbs. Sydney experiences an urban heat island effect. This makes certain parts of the city more vulnerable to extreme heat, including coastal suburbs. In late spring and summer, temperatures over 35 °C (95 °F) are not uncommon, though hot, dry conditions are usually ended by a southerly buster, a powerful southerly that brings gale winds and rapid fall in temperature. The far-western suburbs, which border the Blue Mountains, experience a Föhn-like wind in the warm months that originates from the Central Tablelands. Due to the inland location, frost is recorded early in the morning in Western Sydney a few times in winter. Autumn and spring are the transitional seasons, with spring showing a larger temperature variation than autumn. 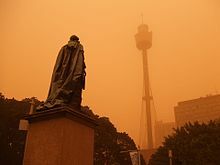 Dust storm over Sydney CBD with the Sydney Tower in background (September 2009). The rainfall has a moderate to low variability and it is spread through the months, but is slightly higher during the first half of the year. 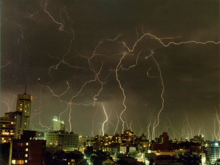 From 1990 to 1999, Sydney received around 20 thunderstorms per year. In late autumn and winter, east coast lows may bring large amounts of rainfall, especially in the CBD. In spring and summer, black nor'easters are usually the cause of heavy rain events, though other forms of low pressure systems may also bring heavy deluge and afternoon thunderstorms. Depending on the wind direction, summer weather may be humid or dry, with the late summer/autumn period having a higher average humidity and dewpoints than late spring/early summer. In summer, most rain falls from thunderstorms and in winter from cold fronts. Snowfall was last reported in the Sydney City area in 1836, while a fall of graupel, or soft hail, mistaken by many for snow, in July 2008, has raised the possibility that the 1836 event was not snow, either. The Bureau of Meteorology has reported that 2002 to 2005 were the warmest summers in Sydney since records began in 1859. The summer of 2007–08, however, proved to be the coolest since 1996–97 and is the only summer this century to be at or below average in temperatures. In 2009, dry conditions brought a severe dust storm towards eastern Australia. In recent modern history the hottest day in Sydney registered 47.3 °C in 2018, the highest temperature since 1939. 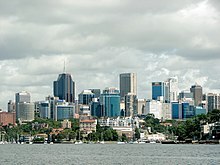 The regions of Sydney include the CBD or City of Sydney (colloquially referred to as 'the City') and Inner West, the Eastern Suburbs, Southern Sydney, Greater Western Sydney (including the South-west, Hills District and the Macarthur Region), and the Northern Suburbs (including the North Shore and Northern Beaches). 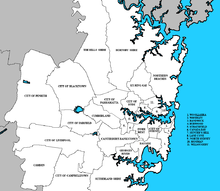 The Greater Sydney Commission divides Sydney into five districts based on the 33 LGAs in the metropolitan area; the Western City, the Central City, the Eastern City, the North District, and the South District. Anzac Bridge, spanning Johnstons Bay, links western suburbs to the CBD. Green Square is a former industrial area of Waterloo which is undergoing urban renewal worth $8 billion. On the city harbour edge, the historic suburb and wharves of Millers Point are being built up as the new area of Barangaroo. The enforced rehousing of local residents due to the Millers Point/Barangaroo development has caused significant controversy despite the $6 billion worth of economic activity it is expected to generate. 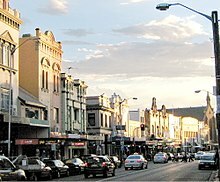 The suburb of Paddington is a well known suburb for its streets of restored terrace houses, Victoria Barracks, and shopping including the weekly Oxford Street markets. Sydney skyline as viewed from Tasman Sea, overlooking the clifftop suburb of Vaucluse. Kurnell Sand Dunes with the Sydney skyline in the background. The North Shore, an informal geographic term referring to the northern metropolitan area of Sydney, consists of Artarmon, Chatswood, Roseville, Lindfield, Killara, Gordon, Pymble, Hornsby and many others. The Lower North Shore usually refers to the suburbs adjacent to the harbour such as Neutral Bay, Waverton, Mosman, Cremorne, Cremorne Point, Lavender Bay, Milsons Point, Cammeray, Northbridge, and North Sydney. Hunters Hill and Gladesville are often also considered as being part of the Lower North Shore. The Lower North Shore's eastern boundary is Middle Harbour, or at the Roseville Bridge at Castle Cove and Roseville Chase. The Upper North Shore usually refers to the suburbs between Chatswood and Hornsby. It is made up of suburbs located within Ku-ring-gai and Hornsby Shire councils. The Northern Beaches area includes Manly, one of Sydney's most popular holiday destinations for much of the nineteenth and twentieth centuries. The region also features Sydney Heads, a series of headlands which form the 2 km (1.2 mi) wide entrance to Sydney Harbour. The Northern Beaches area extends south to the entrance of Port Jackson (Sydney Harbour), west to Middle Harbour and north to the entrance of Broken Bay. The 2011 Australian census found the Northern Beaches to be the most white and mono-ethnic district in Australia, contrasting with its more-diverse neighbours, the North Shore and the Central Coast. The Hills district generally refers to the suburbs in north-western Sydney including the local government areas of The Hills Shire, parts of the City of Parramatta Council and Hornsby Shire. Actual suburbs and localities that are considered to be in the Hills District can be somewhat amorphous and variable. For example, the Hills District Historical Society restricts its definition to the Hills Shire local government area, yet its study area extends from Parramatta to the Hawkesbury. The region is so named for its characteristically comparatively hilly topography as the Cumberland Plain lifts up, joining the Hornsby Plateau. Several of its suburbs also have "Hill" or "Hills" in their names, such as Baulkham Hills, Castle Hill, Seven Hills, Pendle Hill, Beaumont Hills, and Winston Hills, among others. Windsor and Old Windsor Roads are historic roads in Australia, as they are the second and third roads, respectively, laid in the colony. 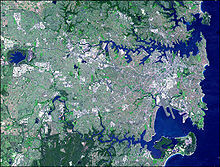 An aerial view of Greater Western Sydney: Smithfield (bottom) to Liverpool (top-right). The greater western suburbs encompasses the areas of Parramatta, the sixth largest business district in Australia, settled the same year as the harbour-side colony, Bankstown, Liverpool, Penrith, and Fairfield. Covering 5,800 square kilometres (2,200 sq mi) and having an estimated resident population as at 2017 of 2,288,554, western Sydney has the most multicultural suburbs in the country. The population is predominantly of a working class background, with major employment in the heavy industries and vocational trade. Further to the southwest is the region of Macarthur and the city of Campbelltown, a significant population centre until the 1990s considered a region separate to Sydney proper. Macarthur Square, a shopping complex in Campbelltown, become one of the largest shopping complexes in Sydney. The southwest also features Bankstown Reservoir, the oldest elevated reservoir constructed in reinforced concrete that is still in use and is listed on the New South Wales State Heritage Register. The southwest is home to one of Sydney's oldest trees, the Bland Oak, which was planted in the 1840s by William Bland in the suburb of Carramar. Commercial Travellers Club Building, demolished in the 1970s during a contemporary boom, was one of Sydney's tallest buildings until height restrictions were lifted in the 1960s. As the wealth of the settlement increased, and as Sydney developed into a metropolis after Federation in 1901, its buildings became taller. Sydney's first tower was Culwulla Chambers on the corner of King Street and Castlereagh Street which topped out at 50 metres (160 feet) making 12 floors. 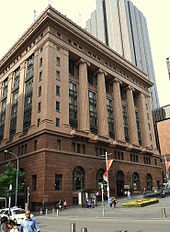 The Commercial Traveller's Club, located in Martin Place and built in 1908, was of similar height at 10 floors. It was built in a brick stone veneer and demolished in 1972 to make way for Harry Seidler's MLC Centre. This heralded a change in Sydney's cityscape and with the lifting of height restrictions in the 1960s there came a surge of high-rise construction. Acclaimed architects such as Jean Nouvel, Harry Seidler, Richard Rogers, Renzo Piano, Norman Foster, and Frank Gehry have each made their own contribution to the city's skyline. The Great Depression had a tangible influence on Sydney's architecture. New structures became more restrained with far less ornamentation than was common before the 1930s. The most notable architectural feat of this period is the Harbour Bridge. Its steel arch was designed by John Bradfield and completed in 1932. A total of 39,000 tonnes of structural steel span the 503 metres (1,650 feet) between Milsons Point and Dawes Point. 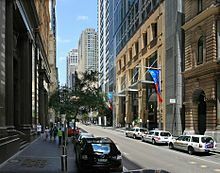 Contemporary buildings in the CBD include Citigroup Centre, Aurora Place, Chifley Tower, the Reserve Bank building, Deutsche Bank Place, MLC Centre, and Capita Centre. The tallest structure is Sydney Tower, designed by Donald Crone and completed in 1981. Regulations limit new buildings to a height of 235 metres (771 feet) due to the proximity of Sydney Airport, although strict restrictions employed in the early 2000s have slowly been relaxed in the past ten years. Green bans and heritage overlays have been in place since at least 1977 to protect Sydney's heritage after controversial demolitions in the 1970s led to an outcry from Sydneysiders to preserve the old and keep history intact, sufficiently balancing old and new architecture. Sydney real estate prices are some of the most expensive in the world, surpassing both New York City and Paris. There were 1.76 million dwellings in Sydney in 2016 including 925,000 (57%) detached houses, 227,000 (14%) semi-detached terrace houses and 456,000 (28%) units and apartments. Whilst terrace houses are common in the inner city areas, it is detached houses that dominate the landscape in the outer suburbs. Due to environmental and economic pressures there has been a noted trend towards denser housing. There was a 30% increase in the number of apartments in Sydney between 1996 and 2006. Public housing in Sydney is managed by the Government of New South Wales. Suburbs with large concentrations of public housing include Claymore, Macquarie Fields, Waterloo, and Mount Druitt. The Government has announced plans to sell nearly 300 historic public housing properties in the harbourside neighbourhoods of Millers Point, Gloucester Street, and The Rocks. Archibald Fountain in Hyde Park. The fan of water jets represent the rising of the sun. The outer suburbs include Centennial Park and Moore Park in the east, Sydney Park and Royal National Park in the south, Ku-ring-gai Chase National Park in the north, and Western Sydney Parklands in the west, which is one of the largest urban parks in the world. The Royal National Park was proclaimed on 26 April 1879 and with 13,200 hectares (51 square miles) is the second oldest national park in the world. The largest park in the Sydney metropolitan area is Ku-ring-gai Chase National Park, established in 1894 with an area of 15,400 hectares (59 square miles). It is regarded for its well-preserved records of indigenous habitation and more than 800 rock engravings, cave drawings and middens have been located in the park. Royal Botanic Garden, which is the oldest scientific institution in Australia. To the south of The Domain is Hyde Park, the oldest public parkland in Australia which measures 16.2 hectares (0.1 square miles) in area. Its location was used for both relaxation and the grazing of animals from the earliest days of the colony. Macquarie dedicated it in 1810 for the "recreation and amusement of the inhabitants of the town" and named it in honour of the original Hyde Park in London. Sydney has been ranked between the fifteenth and the fifth most expensive city in the world and is the most expensive city in Australia. Of the 15 categories only measured by UBS in 2012, workers receive the seventh highest wage levels of 77 cities in the world. Working residents of Sydney work an average of 1,846 hours per annum with 15 days of leave. The city also received 8.3 million domestic overnight visitors in 2013 who spent a total of $6 billion. 26,700 workers in the City of Sydney were directly employed by tourism in 2011. There were 480,000 visitors and 27,500 people staying overnight each day in 2012. On average, the tourism industry contributes $36 million to the city's economy per day. Popular destinations include the Sydney Opera House, the Sydney Harbour Bridge, Watsons Bay, The Rocks, Sydney Tower, Darling Harbour, the State Library of New South Wales, the Royal Botanic Garden, the Royal National Park, the Australian Museum, the Museum of Contemporary Art, the Art Gallery of New South Wales, the Queen Victoria Building, Sea Life Sydney Aquarium, Taronga Zoo, Bondi Beach, the Blue Mountains, and Sydney Olympic Park. The population of Sydney in 1788 was less than 1,000. With convict transportation it almost tripled in ten years to 2,953. For each decade since 1961 the population has increased by more than 250,000. Sydney's population at the time of the 2011 census was 4,391,674. It has been forecast that the population will grow to between 8 and 8.9 million by 2061. Despite this increase, the Australian Bureau of Statistics predicts that Melbourne will replace Sydney as Australia's most populous city by 2053. The four most densely populated suburbs in Australia are located in Sydney with each having more than 13,000 residents per square kilometre (33,700 residents per square mile). Chinese New Year celebrations in Chinatown. Sydney is home to the largest Chinese population in Australia. Ku-ring-gai Chase National Park is rich in Indigenous Australian heritage, containing around 1,500 pieces of Aboriginal rock art – the largest cluster of Indigenous sites in Australia, surpassing Kakadu, which has around 5,000 sites but over a much greater land mass. The park's indigenous sites include petroglyphs, art sites, burial sites, caves, marriage areas, birthing areas, midden sites, and tool manufacturing locations, among others, which are dated to be around 5,000 years old. The inhabitants of the area were the Garigal people. Other rock art sites exist in the Sydney region, such as in Terrey Hills and Bondi, although the locations of most are not publicised to prevent damage by vandalism, and to retain their quality, as they are still regarded as sacred sites by Indigenous Australians. 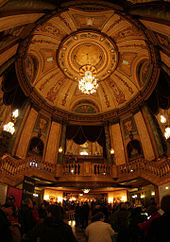 Filmmaking in Sydney was quite prolific until the 1920s when spoken films were introduced and American productions gained dominance in Australian cinema. The Australian New Wave of filmmaking saw a resurgence in film production in the city–with many notable features shot in the city between the 1970s and 80s, helmed by directors such as Bruce Beresford, Peter Weir and Gillian Armstrong. Fox Studios Australia commenced production in Sydney in 1998. Successful films shot in Sydney since then include The Matrix, Lantana, Mission: Impossible 2, Moulin Rouge!, Star Wars: Episode II – Attack of the Clones, Australia, and The Great Gatsby. The National Institute of Dramatic Art is based in Sydney and has several famous alumni such as Mel Gibson, Judy Davis, Baz Luhrmann, Cate Blanchett, Hugo Weaving and Jacqueline Mckenzie. St Mary's Cathedral is the cathedral church of the Roman Catholic Archdiocese of Sydney. The indigenous people of Sydney held totemic beliefs known as "dreamings". Governor Lachlan Macquarie made an effort to found a culture of formal religion throughout the early settlement and ordered the construction of churches such as St Matthew's, St Luke's, St James's, and St Andrew's. In 2011, 28.3% of Sydney residents identified themselves as Catholic, whilst 17.6% practiced no religion. Additionally, 16.1% were Anglican, 4.7% were Muslim, 4.2% were Eastern Orthodox, 4.1% were Buddhist, 2.6% were Hindu, and 0.9% were Jewish. However, according to the 2016 census, 1,082,448 (25%) residents of Sydney's Urban Centre describe themselves as Catholic, while another 1,053,500 (24.4%) people consider themselves non-religious. A further 10.9% of residents identified themselves as Anglicans and an additional 5.8% as Muslim. 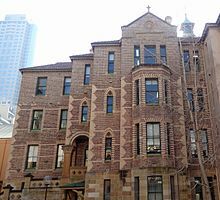 These and other religious institutions have significantly contributed to the education and health of Sydney's residents over time, particularly through the building and management of schools and hospitals. The Sydney Morning Herald is Australia's oldest newspaper still in print. Now a compact form paper owned by Fairfax Media, it has been published continuously since 1831. Its competitor is the News Corporation tabloid The Daily Telegraph which has been in print since 1879. Both papers have Sunday tabloid editions called The Sun-Herald and The Sunday Telegraph respectively. The Bulletin was founded in Sydney in 1880 and became Australia's longest running magazine. It closed after 128 years of continuous publication. Sydney heralded Australia's first newspaper, the Sydney Gazette, published until 1842.
International Twenty20 cricket matches have been hosted annually at Stadium Australia since 2012. First played in Sydney in 1865, rugby grew to be the city's most popular football code by the 1880s. One-tenth of the state's population attended a New South Wales versus New Zealand rugby match in 1907. Rugby league separated from rugby union in 1908. The New South Wales Waratahs contest the Super Rugby competition, while the Sydney Rays represent the city in the National Rugby Championship. The national Wallabies rugby union team competes in Sydney in international matches such as the Bledisloe Cup, Rugby Championship, and World Cup. Sydney is home to nine of the sixteen teams in the National Rugby League competition: Canterbury-Bankstown Bulldogs, Cronulla-Sutherland Sharks, Manly-Warringah Sea Eagles, Penrith Panthers, Parramatta Eels, South Sydney Rabbitohs, St George Illawarra Dragons, Sydney Roosters, and Wests Tigers. New South Wales contests the annual State of Origin series against Queensland. The City of Sydney's flag, which was designed in 1908. In federal politics, Sydney was initially considered as a possibility for Australia's capital city; the newly created city of Canberra ultimately filled this role. Six Australian Prime Ministers have been born in Sydney, more than any other city, including first Prime Minister Edmund Barton and Malcolm Turnbull. 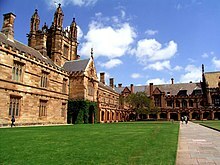 There are six public universities based in Sydney: The University of Sydney, University of New South Wales, University of Technology Sydney, Macquarie University, Western Sydney University, and Australian Catholic University. Four public universities maintain secondary campuses in the city: the University of Notre Dame Australia, University of Wollongong, Curtin University of Technology, and University of Newcastle. 5.2% of residents of Sydney are attending a university. The University of New South Wales and the University of Sydney are ranked top 50 in the world, the University of Technology Sydney is ranked 193, while Macquarie University ranks 237, and the Western Sydney University below 500. 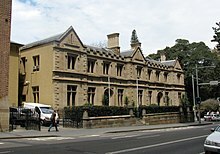 The Nightingale Wing of the Sydney Hospital, the oldest teaching hospital in the city. The motor vehicle, more than any other factor, has determined the pattern of Sydney's urban development since World War II. The growth of low density housing in the city's outer suburbs has made car ownership necessary for hundreds of thousands of households. The percentage of trips taken by car has increased from 13% in 1947 to 50% in 1960 and to 70% in 1971. The most important roads in Sydney were the nine Metroads, including the 110-kilometre (68-mile) Sydney Orbital Network. 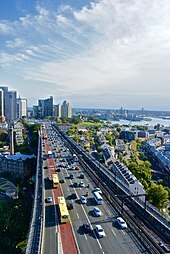 Widespread criticism over Sydney's reliance on sprawling road networks, as well as the motor vehicle, have stemmed largely from proponents of mass public transport and high density housing. In 1997, the Inner West Light Rail (also known as the Dulwich Hill Line) opened between Central station and Wentworth Park. It was extended to Lilyfield in 2000 and then Dulwich Hill in 2014. It links the Inner West and Darling Harbour with Central station and facilitated 9.1 million journeys in the 2016–17 financial year. A second, the CBD and South East Light Rail 12 km (7.5 mi) line serving the CBD and south-eastern suburbs is planned to open in early 2019. When the light rail project is completed, it would cover a total distance of 12 km with 19 different stops. The Parramatta Light Rail has also been announced. Bus services today are conducted by a mixture of Government and private operators. In areas previously serviced by trams the government State Transit Authority operates, in other areas, there are private (albeit part funded by the state government) operators. Integrated tickets called Opal cards operate on both government and private bus routes. State Transit alone operated a fleet of 2,169 buses and serviced over 160 million passengers during 2014. In total, nearly 225 million boardings were recorded across the bus network NightRide is a nightly bus service that operate between midnight and 5am, also replacing trains for most of this period. 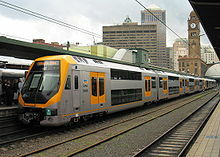 Train services are operated by Sydney Trains. The organisation maintains 176 stations and 937 kilometres (582 miles) of railway and had an annual ridership of 359 million passenger journeys in 2017-18. Sydney's railway was first constructed in 1854 with progressive extension to the network to serve both freight and passengers across the city, suburbs, and beyond to country NSW. In the 1850s and 1860s the railway reached Parramatta, Campbelltown, Liverpool, Blacktown, Penrith, and Richmond. In 2014 94.2% of trains arrived on time and 99.5% of services ran as scheduled. Construction of Sydney Metro, an automated rapid transit system separate from the existing suburban network, started in 2013. The first stage is expected to open in 2019, with plans in place to extend the system through the CBD by 2024. At the time the Sydney Harbour Bridge opened in 1932, the city's ferry service was the largest in the world. Patronage declined from 37 million passengers in 1945 to 11 million in 1963 but has recovered somewhat in recent years. From its hub at Circular Quay the ferry network extends from Manly to Parramatta. Sydney Airport, officially "Sydney Kingsford-Smith Airport", is located in the inner southern suburb of Mascot with two of the runways going into Botany Bay. It services 46 international and 23 domestic destinations. As the busiest airport in Australia it handled 37.9 million passengers in 2013 and 530,000 tonnes of freight in 2011. It has been announced that a new facility named Western Sydney Airport will be constructed at Badgerys Creek from 2016 at a cost of $2.5 billion. Bankstown Airport is Sydney's second busiest airport, and serves general aviation, charter and some scheduled cargo flights. Bankstown is also the fourth busiest airport in Australia by number of aircraft movements. Port Botany has surpassed Port Jackson as the city's major shipping port. Cruise ship terminals are located at Sydney Cove and White Bay. Warragamba Dam is Sydney's largest water supply dam. ^ "3218.0 – Regional Population Growth, Australia, 2017–18:ESTIMATED RESIDENT POPULATION – Australia's capital city populations, June 2018". Australian Bureau of Statistics. Australian Bureau of Statistics. Retrieved 27 March 2018. Estimated resident population, 30 June 2018. ^ a b c d e f g h i j k "Greater Sydney: Basic Community Profile" (xls). 2011 Census Community Profiles. Australian Bureau of Statistics. 28 March 2013. Retrieved 9 April 2014. ^ "Cumberland County". Geographical Names Register (GNR) of NSW. Geographical Names Board of New South Wales. Retrieved 20 September 2017. ^ a b c "Sydney (Observatory Hill)". Climate statistics for Australian locations. Bureau of Meteorology. Retrieved 15 December 2016. ^ "Sydney". Geographical Names Register (GNR) of NSW. Geographical Names Board of New South Wales. Retrieved 28 February 2015. ^ Macquarie ABC Dictionary. The Macquarie Library Pty Ltd. 2003. p. 1,000. ISBN 1-876429-37-2. ^ "3218.0 – Regional Population Growth, Australia, 2017–18". Australian Bureau of Statistics. 27 March 2019. Retrieved 27 March 2019. ^ "3218.0 – Regional Population Growth, Australia, 2016-17: Main Features". Australian Bureau of Statistics. Australian Bureau of Statistics. 24 April 2018. Retrieved 13 October 2018. Estimated resident population, 30 June 2017. ^ a b "Manly Council – Manly Heritage & History". www.manly.nsw.gov.au. Retrieved 10 May 2016. ^ a b "Census 2016: Migrants make a cosmopolitan country". The Australian. 15 July 2017. Retrieved 16 July 2017. ^ "2016 Census QuickStats". Australian Bureau of Statistics. Retrieved 4 January 2019. ^ "Sydney retains #10 ranking in Mercer's global quality of living survey". www.mercer.com. 28 April 2018. Retrieved 28 April 2018. ^ "2018 Quality of Living Index". Mercer. 2018. Retrieved 28 April 2018. ^ "Cities of opportunity" (PDF). PricewaterhouseCoopers. 2012. Archived from the original (PDF) on 10 February 2013. Retrieved 21 July 2014. ^ "History of the Library | State Library of New South Wales". State Library of New South Wales. Retrieved 7 February 2011. ^ Dennis, Anthony (2013). ""Too expensive" Sydney slips from top 10 tourism list". The Sydney Morning Herald. Archived from the original on 25 September 2014. Retrieved 27 October 2016. In this year's World's Best Awards, announced in New York this week, Sydney came in as the world's number 12 ranked best city. ^ a b "Our global city". City of Sydney. 2014. Retrieved 21 July 2014. ^ "Hyde Park: Plan of Management and Masterplan" (PDF). Sydney City Council. October 2006. pp. 7–11. Retrieved 7 September 2012. ^ a b c "Overview". Sydney Airport. 2014. Archived from the original on 5 September 2014. Retrieved 10 August 2014. ^ "Central Station". Sydney Trains. 2014. Archived from the original on 25 June 2014. Retrieved 10 August 2014. ^ Attenbrow, Val (2010). Sydney's Aboriginal Past: Investigating the Archaeological and Historical Records. Sydney: UNSW Press. pp. 152–153. ISBN 978-1-74223-116-7. Retrieved 11 November 2013. ^ "Arthur Phillip". State Library of New South Wales. 2014. Archived from the original on 3 February 2013. Retrieved 6 July 2014. ^ McGillick, Paul; Bingham-Hall, Patrick (2005). Sydney architecture. p. 14 to 15. ^ Mear, Craig (2008). "The origin of the smallpox outbreak in Sydney in 1789". Journal of the Royal Australian Historical Society. Archived from the original on 31 August 2011. Retrieved 5 July 2014. ^ Australian Encyclopaedia. 2. 1926. p. 524. ^ "Emerald City rewatched – Melbourne-Sydney rivalry in a screwball dramedy". The Guardian. 14 February 2016. Retrieved 28 January 2017. ^ "History of the Art Gallery of NSW". Art Gallery of New South Wales. Retrieved 28 January 2017. ^ "Melbourne vs Sydney". SBS. 23 July 2017. Retrieved 28 January 2017. ^ a b "Sydney Harbour Bridge". Commonwealth of Australia. 2014. Archived from the original on 12 May 2012. Retrieved 6 July 2014. ^ "Biography: Harry Seidler AC OBE LFRAIA". architecture.com.au. The Australian Institute of Architects. 6 May 2005. Retrieved 2 May 2008. ^ Latta, David (2006). 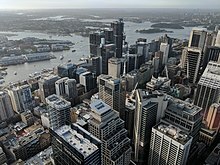 "Showcase destinations Sydney, Australia: the harbour city". Archived from the original on 9 April 2014. Retrieved 12 July 2014. ^ "Wet sclerophyll forests (grassy sub-formation)". NSW Environment & Heritage. Retrieved 16 March 2017. ^ Hindwood, K. A. and McCill, A. R., 1958. The Birds of Sydney (Cumberland Plain) New South Wales. Roy. Zool. Soc. New South Wales. ^ Dolby, Tim; Clarke, Rohan (2014). Finding Australian Birds. CSIRO Publishing. ISBN 9780643097667. ^ Cogger, H.G. (2000). Reptiles and Amphibians of Australia. Reed New Holland. ^ Green, D., 1973. -Re reptiles of the outer north-western suburbs of Sydney. Herpetofauna 6 (2): 2–5. ^ "Sydney's flying foxes now Bundy's problem". North Queensland Register. 2 August 2012. Retrieved 22 February 2014. ^ Whyte, Robert; Anderson, Greg (2017). A Field Guide to Spiders of Australia. Clayton VIC: CSIRO Publishing. ^ "Climate and the Sydney 2000 Olympic Games". Australian Government. Australian Bureau of Statistics. 24 September 2007. Archived from the original on 10 June 2008. Retrieved 21 December 2008. ^ "Sydney (Observatory Hill)". Climate statistics for Australian locations. Bureau of Meteorology. Retrieved 15 November 2013. ^ Creagh, Sunanda. "Sydney smashes temperature records but heatwave nearly over". The Conversation. The Conversation Media Group. Retrieved 21 January 2013. ^ a b c d "Climate statistics for Australian locations". Bureau of Meteorology. Retrieved 15 November 2013. ^ Torok, S. and Nicholls, N. 1996. A historical annual temperature dataset for Australia. Aust. Met. Mag., 45, 251–60. ^ a b "Sydney area an 'urban heat island' vulnerable to extreme temperatures". The Sydney Morning Herald. 14 January 2016. Retrieved 14 January 2016. ^ Santamouris, Mat; Haddad, Shamila; Fiorito, Francesco; Osmond, Paul; Ding, Lan; Prasad, Deo; Zhai, Xiaoqiang; Wang, Ruzhu (2017). "Urban Heat Island and Overheating Characteristics in Sydney, Australia. An Analysis of Multiyear Measurements". University of New South Wales. Retrieved 11 January 2018. ^ "Special Climate Statement 43 – extreme heat in January 2013" (PDF). Bureau of Meteorology. 1 February 2013. Retrieved 2 February 2013. ^ Batt, K, 1995: Sea breezes on the NSW coast, Offshore Yachting, Oct/Nov 1995, Jamieson Publishing. ^ ""Southerly Buster" Relieves City". The Sydney Morning Herald. National Library of Australia. 17 December 1953. p. 1. Retrieved 27 March 2015. ^ Sharples, J.J. Mills, G.A., McRae, R.H.D., Weber, R.O. (2010) Elevated fire danger conditions associated with foehn-like winds in southeastern Australia. Journal of Applied Meteorology and Climatology. ^ Sharples, J.J., McRae, R.H.D., Weber, R.O., Mills, G.A. (2009) Foehn-like winds and fire danger anomalies in southeastern Australia. Proceedings of the 18th IMACS World Congress and MODSIM09. 13–17 July, Cairns. 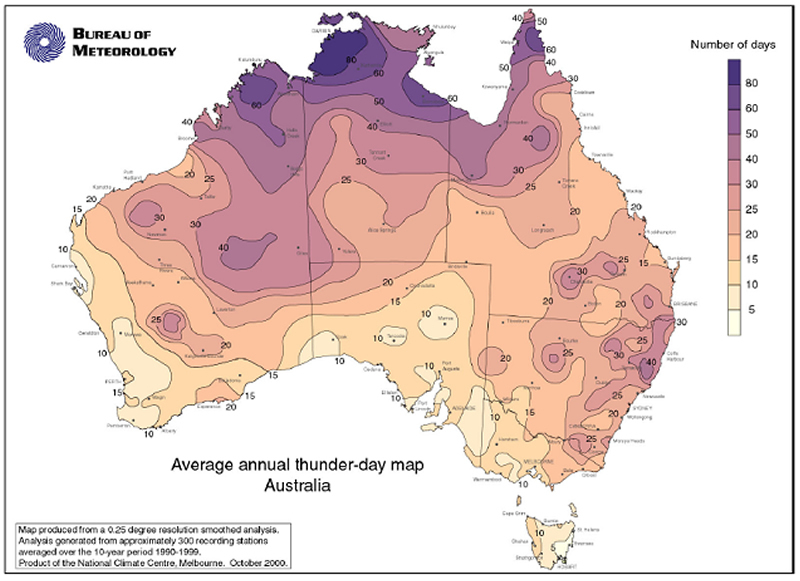 ^ "Average annual thunder-day map". Archived from the original on 12 February 2017. Retrieved 17 March 2017. ^ "About East Coast Lows". Bureau of Meteorology. Retrieved 6 April 2013. ^ "BLACK NOR-EASTER". The Sydney Morning Herald. National Library of Australia. 30 October 1911. p. 7. Retrieved 27 March 2015. ^ "Sydney winter not snow, just hail". Sydney Morning Herald. Retrieved 15 November 2013. Mr Zmijewski doubted the 1836 snow report, saying weather observers of the era lacked the expertise of today. "We are almost in the sub-tropics in Sydney", he said. ^ "Austrália enfrentou o mês de janeiro mais quente de sua história". VEJA.com (in Portuguese). Retrieved 4 February 2019. ^ "Sydney (Observatory Hill) Period 1981-2010". Bureau of Meteorology. Retrieved 30 October 2016. ^ "Sydney (Observatory Hill): all years". Bureau of Meteorology. Retrieved 4 June 2018. ^ "Climate statistics for Australian locations Sydney Airport AMO". Bureau of Meteorology. 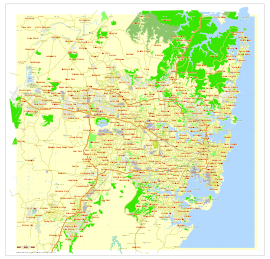 ^ "District Plans | Greater Sydney Commission". www.greater.sydney. Retrieved 23 April 2018. ^ "Sydney unprepared for terror attack". The Australian. 4 September 2007. Retrieved 3 June 2017. ^ "THE STRAND". The Sydney Morning Herald (16, 858). New South Wales, Australia. 2 April 1892. p. 5. Retrieved 27 October 2016 – via National Library of Australia. ^ "Ultimo and Pyrmont: a decade of renewal" (PDF). Sydney Harbour Foreshore Authority. 2004. Retrieved 13 July 2014. ^ NSW, Transport for (21 April 2017). "Parramatta light rail to connect communities". www.transport.nsw.gov.au. Retrieved 23 April 2018. ^ "Newtown". www.marrickville.nsw.gov.au. Retrieved 23 April 2018. ^ "Eastern City District Plan | Greater Sydney Commission". www.greater.sydney. Retrieved 22 April 2018. ^ "Labor, Greens, Howard's battlers: Explore the politics of disadvantage". ABC News. 6 April 2018. Retrieved 21 April 2018. ^ "Sydney's light rail one year behind schedule". ABC News. 19 April 2018. Retrieved 21 April 2018. ^ "Liveable Sydney: The lower north shore's suburbs ranked by liveability". ^ "Old Windsor and Windsor Road". 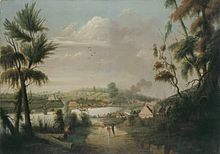 ^ "Parramatta". Parramatta Chamber of Commerce. 2014. Archived from the original on 6 August 2014. Retrieved 13 July 2014. ^ "Home – WSROC Region". Profile.id.com.au. Retrieved 10 January 2019. ^ "Water theme park planned for Sydney". ABC News. 11 September 2010. Retrieved 11 September 2010. ^ "Auburn Botanical Gardens". chah.gov.au. Archived from the original on 6 October 2009. Retrieved 4 October 2009. ^ "Nature reserves: Central Gardens". Your facilities. Holroyd City Council. Retrieved 19 September 2014. ^ "Visitor Information – How to Get Here". Sydney Motorsport Park. Archived from the original on 10 April 2013. Retrieved 21 February 2013. ^ "Boothtown Aqueduct Aqueduct Valve House No 1 & 2". New South Wales State Heritage Register. Office of Environment and Heritage. Retrieved 27 March 2018. ^ O'Maley, Christine (23 November 2009). "Featherdale beats Opera House to claim major tourism award". Blacktown Advocate. Retrieved 18 March 2012. ^ Chalmers, Emma; Martin, Saray (1 August 2010). "World Heritage Committee approves Australian Convict Sites as places of importance". The Courier–Mail. Australia. Retrieved 17 April 2018. ^ Energy, Department of the Environment and (17 April 2018). "National Heritage Places – Old Government House and Government Domain, Parramatta". www.environment.gov.au. ^ Herron Todd White Property Advisors: The Month in Review Archived 20 August 2006 at the Wayback Machine (PDF), 1 February 2004. ^ "Bankstown Reservoir (Elevated)". New South Wales State Heritage Register. Office of Environment and Heritage. Retrieved 27 March 2018. ^ Boulous, Chris (20 April 2018). "Nothing Bland about our Oak tree". Fairfield City Champion. FAIRFAX REGIONAL MEDIA. Retrieved 29 August 2018. ^ a b "Macquarie Lightstation". Sydney Harbour Federation Trust. 2001. Archived from the original on 9 February 2006. Retrieved 20 July 2014. ^ Judd, Stephen; Cable, Kenneth (2000). Sydney Anglicans – a history of the diocese. p. 12. ^ "Changes not music to purists' ears". The Sydney Morning Herald. 8 September 2008. Retrieved 14 November 2016. ^ "Unlocked: Demolished Sydney". SydneyLivingMuseums.com.au. Retrieved 14 December 2018. ^ "Sydney houses are so 'severely unaffordable', it's cheaper to buy in New York". Business Insider (Australia). 24 January 2017. Retrieved 25 January 2017. ^ "How Sydney house prices compare with other global cities". Domain Group. 25 July 2015. Retrieved 25 January 2017. ^ a b c d e f g h i j k l m n o p "2016 Census QuickStats: Greater Sydney". Australian Bureau of Statistics. 2016. Retrieved 25 October 2018. ^ a b c Darcy, Michael (2008). "Housing Sydney". Dictionary of Sydney. Retrieved 9 August 2014. ^ "Sydney Housing Ratio 14 Times Annual Pre-Tax Salary". 2017. ^ Irving, Terry; Irving, Terrence H.; Cahill, Rowan J. (2010). Radical Sydney: Places, Portraits and Unruly Episodes. UNSW Press. p. 306. ISBN 9781742230931. ^ "A public housing terrace in Sydney sold for a staggering $2.2 million above reserve". Business Insider. 10 December 2016. Retrieved 23 January 2017. ^ Kimmorley, Sarah (15 April 2016). "This $13 million Sydney property is the most expensive terrace in Australia". Business Insider. Retrieved 23 January 2017. ^ "Sydney's culture of place". Charles Sturt University. 2014. Archived from the original on 25 October 2014. Retrieved 26 July 2014. ^ "Royal Botanic Garden, Sydney". Royal Botanic Garden, Sydney. ^ a b "Royal Botanic Gardens history". Office of Environment and Heritage. 2014. Archived from the original on 8 July 2014. Retrieved 19 July 2014. ^ "Royal Botanic Gardens fast facts". Office of Environment and Heritage. 2014. Archived from the original on 8 July 2014. Retrieved 19 July 2014. ^ "Hyde Park plan of management and masterplan" (PDF). City of Sydney. 2006. Retrieved 19 July 2014. ^ "The world according to GaWC 2012". Loughborough University. 2012. Retrieved 31 August 2014. ^ Florida, Richard (2014). "The 25 most economically powerful cities in the world". CityLab. Retrieved 20 July 2014. ^ a b "2014 Global Cities Index" (PDF). AT Kearney. 2014. Retrieved 20 July 2014. ^ a b "Australian cities accounts" (PDF). SGS Economics and Planning. 2014. Retrieved 31 August 2014. ^ "Economic profile". 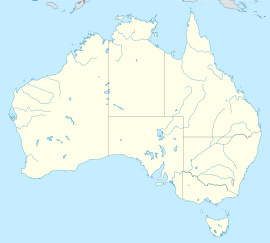 Regional Development Australia. 2010. Archived from the original on 16 October 2014. Retrieved 26 July 2014. ^ "Global connections: a study of multinational companies in Sydney" (PDF). Australian Business Foundation. 2009. Archived from the original (PDF) on 26 August 2014. Retrieved 26 July 2014. ^ a b c "Prices and earnings". UBS. 2012. Retrieved 20 July 2014. ^ "Employment status, Greater Sydney". ID: The Population Experts. Archived from the original on 18 November 2016. Retrieved 30 March 2018. ^ "Industry sector of employment". City of Sydney. 2016. Archived from the original on 3 November 2012. Retrieved 28 March 2018. ^ "Individual income | Greater Sydney | profile.id". profile.id.com.au. Retrieved 29 March 2018. ^ Abelson, Peter; Chung, Demi (2004). "Housing prices in Australia: 1970 to 2003" (PDF). Macquarie University. Retrieved 26 July 2014. ^ "Home value index results" (PDF). RP Data. 2014. Archived from the original (PDF) on 15 April 2014. Retrieved 26 July 2014. ^ a b c d "Australia's banking history". Australian Broadcasting Corporation. 1998. Archived from the original on 30 July 2014. Retrieved 26 July 2014. ^ "Financial services". Department of Trade and Investment. 2014. Archived from the original on 21 June 2014. Retrieved 26 July 2014. ^ "List of authorised deposit-taking institutions". Australian Prudential Regulation Authority. 2014. Archived from the original on 30 July 2014. Retrieved 26 July 2014. ^ a b "Travel to Sydney" (PDF). Destination New South Wales. 2014. Retrieved 26 July 2014. ^ "For the good of Sydney, back this plan". Sydney Morning Herald. ^ "Barangaroo timeline". Barangaroo Delivery Authority. ^ "BEA – Business Events Australia Newsletter – March 2015". Archived from the original on 10 June 2015. ^ "Where do migrants live?". Australian Bureau of Statistics. Retrieved 27 June 2014. ^ "Error 400". www.censusdata.abs.gov.au. Archived from the original on 20 June 2016. Retrieved 10 May 2016. ^ Duyker, Edward, and York, Barry (1994) Exclusions and admissions : the Dutch in Australia, 1902–1946 Canberra : Centre for Immigration and Multicultural Studies, Research School of Social Sciences, Australian National University. ^ Department of Immigration, Multicultural and Indigenous Affairs 2003, Report of the Review of Settlement Services for Migrants and Humanitarian Entrants, Commonwealth of Australia, Canberra. ^ "Changing Face of early Australia". Australia.gov.au. 13 February 2009. Archived from the original on 2 April 2015. Retrieved 16 May 2015. ^ Gorgees, P. 2003, 'The Assyrian Community's Continued Needs in the Fairfield LGA', in Checking the Pulse of Fairfield―Conference Report, Fairfield Migrant Resource Centre, Cabramatta. ^ Assyrian Australian Association & Ettinger House 1997, Settlement Issues of the Assyrian Community, AAA, Sydney. ^ Community Relations Commission For a Multicultural NSW 2004, Cultural Harmony. The Next Decade 2002–2012 (White Paper), New South Wales Government, Sydney South. ^ Beasley, Tamerlaine; Hirsch, Philip; Rungmanee, Soimart. "Thailand in Australia" (PDF). University of Sydney. Retrieved 9 February 2015. ^ Mele, Nicola (2014). "When diversity means cultural richness". Webdiary. Archived from the original on 14 March 2014. Retrieved 14 September 2014. ^ Hema Maps (1997). Discover Australia's National Parks. Milsons Point, New South Wales: Random House Australia. pp. 116–7. ISBN 1-875992-47-2. ^ Basedow, H. 1914. Aboriginal rock carvings of great antiquity in S.A. J. R. Anthropol. Inst., 44, 195–211. ^ Isaacs, Victor (2003). Two hundred years of Sydney newspapers: a short history (PDF). North Richmond: Rural Press. pp. 3–5. ^ Maunder, Patricia (17 December 2010). "Novelist shone a light on slums". Sydney Morning Herald. Retrieved 6 March 2018. ^ Maguire, M., 'Atkinson, (Caroline) Louisa Waring', in R. Aitken and M. Looker (eds), Oxford Companion to Australian Gardens, South Melbourne, Oxford University Press, 2002, p. 35. ^ "Rediscovering Elizabeth Harrower". The New Yorker. 20 October 2014. Retrieved 6 March 2018. ^ "Text Publishing – Down in the City". Text Publishing. 23 October 2013. Retrieved 22 March 2018. ^ "Review: Down in the City by Elizabeth Harrower". Readings.com.au. 25 October 2013. Retrieved 22 March 2018. ^ "About Us". Sydney Writers' Festival (SWF) Official Site. Retrieved 25 March 2018. ^ "Australian pride is its 'new wave' of films". The New York Times. 1981. Retrieved 25 March 2018. ^ "About us". Sydney Festival. 2014. Archived from the original on 27 September 2014. Retrieved 11 October 2014. ^ Carey, Hilary (2008). "Religion". Dictionary of Sydney. Retrieved 9 August 2014. ^ Lagan, Bernard (2012). "Breaking: news and hearts at the Herald". The Global Mail. Archived from the original on 23 June 2012. Retrieved 27 July 2014. ^ "Timeline". City2Surf. 2014. Archived from the original on 22 February 2014. Retrieved 27 July 2014. ^ "Sydney to Hobart Yacht Race". About.com. 2014. Archived from the original on 12 July 2014. Retrieved 27 July 2014. ^ "Sydney's flag and flower". City of Sydney. Retrieved 26 June 2015. ^ Brooker, Tim; Gee, Megan (2009). "Urban consolidation vs urban sprawl in Sydney: the debate rages on" (PDF). Australasian Transport Research Forum – ATRF. p. 3. Retrieved 17 February 2017. ^ "Official Residences". Governor-General of Australia. Retrieved 1 June 2017. ^ "Court locations". Supreme Court of New South Wales. 2014. Archived from the original on 25 November 2014. Retrieved 17 August 2014. ^ "History of Sydney City Council" (PDF). City of Sydney. 2005. Archived from the original (PDF) on 9 July 2005. Retrieved 13 July 2014. ^ Davison, Graeme; Hirst, John; Macintyre, Stuart, eds. (1998). The Oxford Companion to Australian History. Oxford University Press. pp. 464–465, 662–663. ISBN 9780195535976. ^ "School locator". Department of Education and Communities. 2014. Archived from the original on 9 July 2014. Retrieved 27 July 2014. ^ "List of selective and agricultural high schools". Department of Education and Communities. 2014. Archived from the original on 13 June 2014. Retrieved 27 July 2014. ^ "Prince of Wales Hospital". South Eastern Sydney Local Health District. 2014. Archived from the original on 19 October 2014. Retrieved 23 August 2014. ^ "Our history". The Children's Hospital at Westmead. 2014. Archived from the original on 21 June 2014. Retrieved 23 August 2014. ^ "Prince Henry Hospital". South Eastern Sydney Local Health District. 2014. Archived from the original on 19 October 2014. Retrieved 23 August 2014. ^ "About us". South Eastern Sydney Local Health District. 2014. Archived from the original on 16 August 2014. Retrieved 23 August 2014. ^ "Australian Social Trends, July 2013". Australian Bureau of Statistics. Retrieved 21 August 2016. ^ Wade, Matt (4 April 2015). "Sydney is Australia's most valuable location, but public transport is its weakness". The Sydney Morning Herald. Retrieved 21 August 2016. ^ "Sydney not yet a true global city". The Sydney Morning Herald. 14 April 2014. Retrieved 21 August 2016. ^ "Light Rail Patronage – Monthly Comparison". www.transport.nsw.gov.au. 8 June 2017. Retrieved 25 August 2017. ^ "CBD and South East Light Rail contract awarded with earlier delivery date". Sydney Light Rail. Transport for NSW. Archived from the original on 13 May 2015. ^ Transport for NSW (2014). TfNSW 2013–2014 Annual Report (PDF) (Report). pp. 35, 36. Archived from the original (PDF) on 29 May 2015. Retrieved 29 April 2015. ^ "Sydney's North West Rail Link reaches first milestone". Rail Journal.com. 28 January 2015. Retrieved 31 January 2015. ^ "Sky's the limit as the North West Rail Link lifts its game". The Daily Telegraph. 12 January 2015. Retrieved 31 January 2015. ^ "Northwest rail link under budget and ahead of time as first tunnel sees light". ABC Online. 21 January 2015. Retrieved 31 January 2015. ^ "Fourth TBM begins tunnelling for Sydney's $8.3 billion North West Rail Link". Trenchless Australasia. 16 January 2015. Archived from the original on 24 January 2015. Retrieved 31 January 2015. ^ "Transport minister Andrew Constance says new Sydney Metro train line a 'massive city shaping project'". The Sydney Morning Herald. 16 June 2015. Retrieved 20 June 2015. ^ "New metro train stations in Sydney could be built in Crows Nest or St Leonards and Artarmon by 2024". The Daily Telegraph. 11 June 2015. Retrieved 20 June 2015. ^ "Movements at Australian Airports" (PDF). Airservices Australia. Airservices Australia. 17 February 2012. Retrieved 6 November 2016. ^ "Look who's polluting: Sydney Water's shame". 23 October 2011. Retrieved 3 February 2015. ^ "Air Pollution in Sydney: An Update Briefing Paper" (PDF). August 1998. Retrieved 3 February 2015. ^ "Car dependence in Australian cities: a discussion of causes, environmental impact and possible solutions" (PDF). Flinders University study. Archived from the original (PDF) on 1 March 2011. Retrieved 3 February 2015. ^ "Off the rails: the suburbs where the car rules". The Sydney Morning Herald. 30 May 2005. Retrieved 3 February 2015. ^ "Sydney not yet a true global city". The Sydney Morning Herald. 12 April 2014. Retrieved 3 February 2015. ^ "CBDs turning into no-car zones as the great divide grows". The Australian. 11 October 2015. Retrieved 3 February 2015. ^ "Buses and the Environment". statetransit.info. Retrieved 3 February 2015. ^ "City clears the way on pollution-free car fleet". sydneymedia.com.au. 13 February 2013. Retrieved 3 February 2015. ^ "Causes of Climate Change". epa.gov. Retrieved 10 February 2015. ^ IPCC, "Summary for Policymakers", Detection and Attribution of Climate Change, «It is extremely likely that human influence has been the dominant cause of the observed warming since the mid-20th century» (page 15) and «In this Summary for Policymakers, the following terms have been used to indicate the assessed likelihood of an outcome or a result: (...) extremely likely: 95–100%» (page 2). , in IPCC AR5 WG1 2013. ^ "Sydney Water to become carbon neutral". The Age. 19 July 2007. Retrieved 3 February 2015. ^ "Sydney Becomes Australia's First Carbon-Neutral Government Body". treehugger.com. 5 September 2008. Retrieved 3 February 2015. ^ "It's official, Sydney is first carbon neutral council". SydneyMedia.com.au. 9 November 2011. Retrieved 3 February 2015. ^ "Building owners applaud city's ambitious master plan". climatecontrolnews.com.au. 25 February 2015. Retrieved 18 March 2015. ^ "Sydney businesses cotton on: climate change action is good for the bottom line". The Guardian (UK). 18 March 2015. Retrieved 19 March 2015. ^ "City of Sydney extends solar roll out to historic Rocks". RenewEconomy.com. 16 June 2014. Retrieved 3 February 2015. ^ "'Greenest' Sydney building using rainforest timber". Sydney Morning Herald. 27 July 2011. Retrieved 3 February 2015. ^ "One Central Park Gardens". Frasers Property. Archived from the original on 23 September 2013. Retrieved 3 February 2015. ^ "Central Park Sydney – Architecture". Frasers Property. Archived from the original on 5 October 2013. Retrieved 3 February 2015. ^ "Sydney Central Park project shows sustainable living". Financial Review. 28 November 2013. Retrieved 3 February 2015. ^ "Sydney Water timeline". Sydney Water. 2014. Archived from the original on 30 June 2014. Retrieved 10 August 2014. 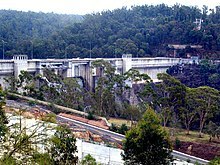 ^ "Sydney's Largest Water Supply Dam". Water NSW. Retrieved 15 February 2016. ^ a b "Dams and reservoirs". Sydney Catchment Authority. 2014. Archived from the original on 26 September 2014. Retrieved 10 August 2014. ^ "About Ausgrid". Ausgrid. 2014. Archived from the original on 19 October 2014. Retrieved 12 October 2014.